The Church of Sant Pau del Camp (St. Paul of the Countryside) is the oldest church in Barcelona and a rare example of Romanesque architecture in Catalonia. Its name reflects the fact that the church was once surrounded by green fields outside the city walls. It was built by the Benedictines in the 10th century after its predecessor was destroyed in a Muslim raid of 985 AD. Remains of the original 9th-century structure can be seen on the capitals and bases of the portal. The church was rebuilt in the 11th and 12th centuries on a Greek-cross plan. Today, Sant Pau is not only old but remarkably intact. The western portal features well-worn carvings and Latin inscriptions of Christ, Saint Peter, and Saint Paul on the tympanum. Around the portal are simple 13th-century carvings of fish, birds and faces. Carved symbols of the evangelists Mark (lion) and Luke (ox) flank the door; Matthew (winged man) and John (eagle) are in relief above. Above the portal is a relief of the hand of God. Inside, the church is dark and rather plain, lit only by tiny arrow-slit windows and small stained-glass circles high up in the central dome. Its austerity adds to the overall feeling of antiquity. Built on a central plan, the church has three spacious curved apses at the east end. The small 12th-century cloister, is a major highlight: it features Moorish arches, a central fountain, and animals adorning the capitals. In the 14th-century chapter house is the tomb of Guífre Borrell, count of Barcelona in the early 10th century. 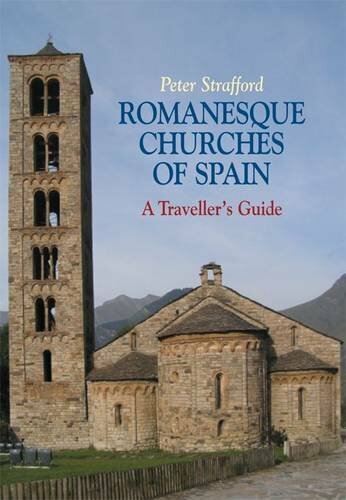 The Rough Guide to Spain 11 (April 2004). Frommer's Barcelona, 2nd ed. (May 2007). Below is a location map and aerial view of Sant Pau del Camp. Using the buttons on the left (or the wheel on your mouse), you can zoom in for a closer look, or zoom out to get your bearings. To move around, click and drag the map with your mouse.